It seems like every year, winter gets longer and more unbearable, and the arrival of spring brings more relief and joy and excitement than ever. 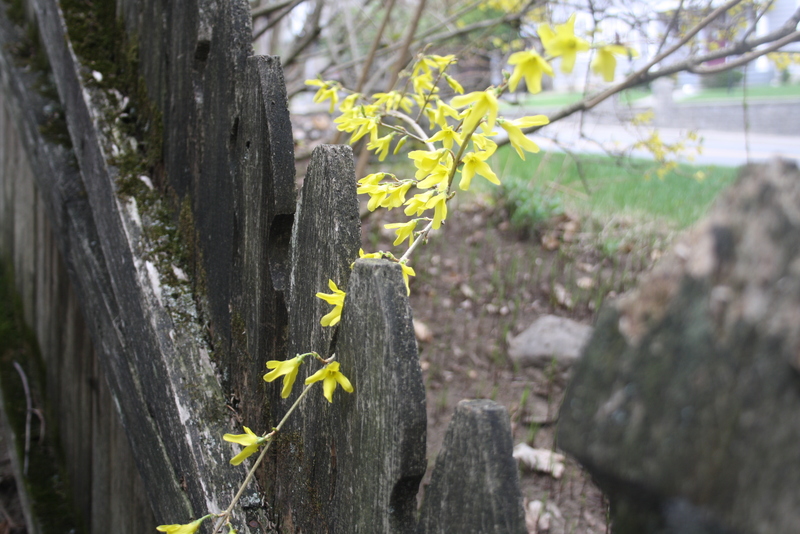 Here are a few quick pictures of spring at my house; little things that are making me so happy this week! 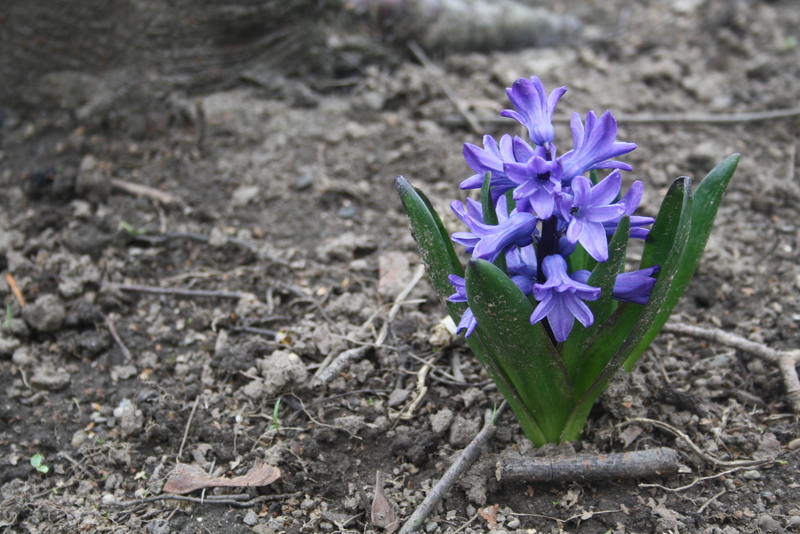 A gorgeous hyacinth plant that I stuck in the ground on a whim last year; I forgot all about it until it popped up this spring! I wish I could send the beautiful scent through this picture. 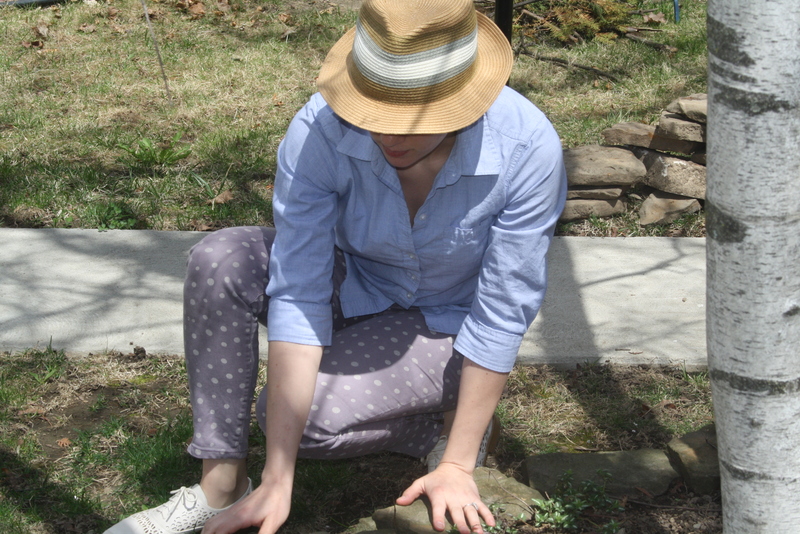 S snapped a picture of me adjusting the flower bed rocks. I’m obsessed with straw hats this spring. This one is from a random flea market in Orlando. 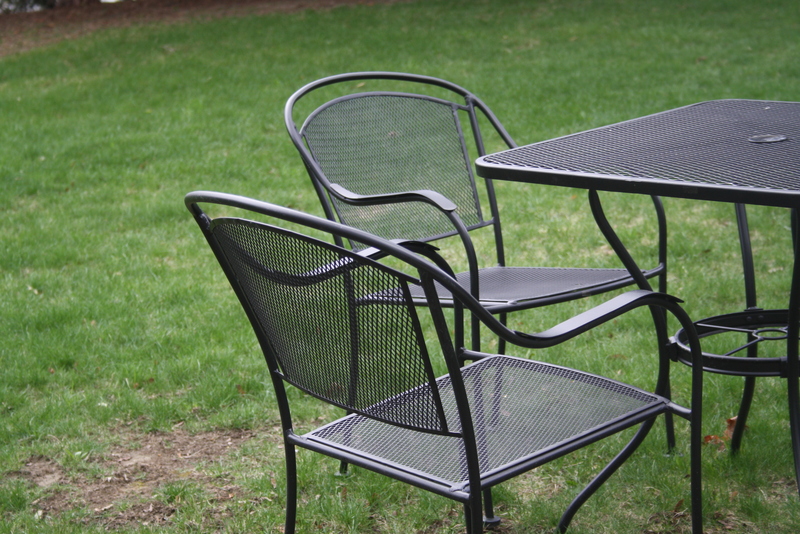 We put out our lawn furniture and I’ve already eaten lunch there on one of the warmer afternoons while G napped. 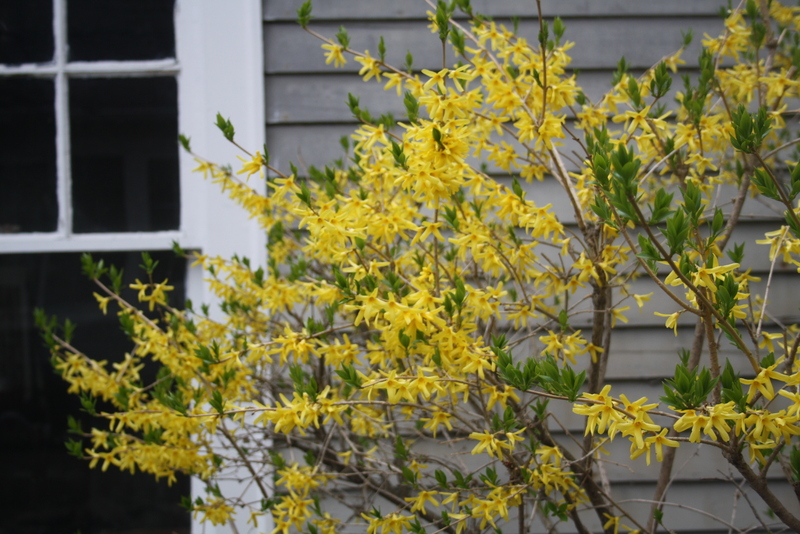 A gorgeous forsythia bush in full bloom. 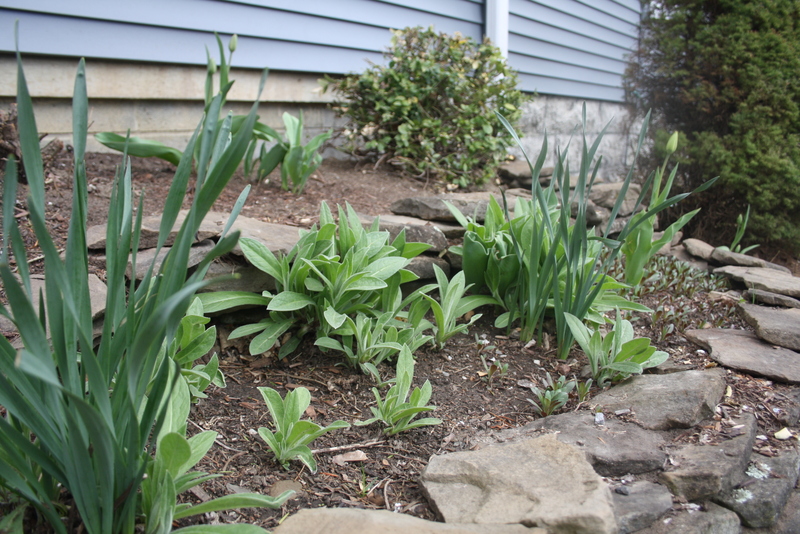 Another flower bed full of tulips and other pretty surprises. 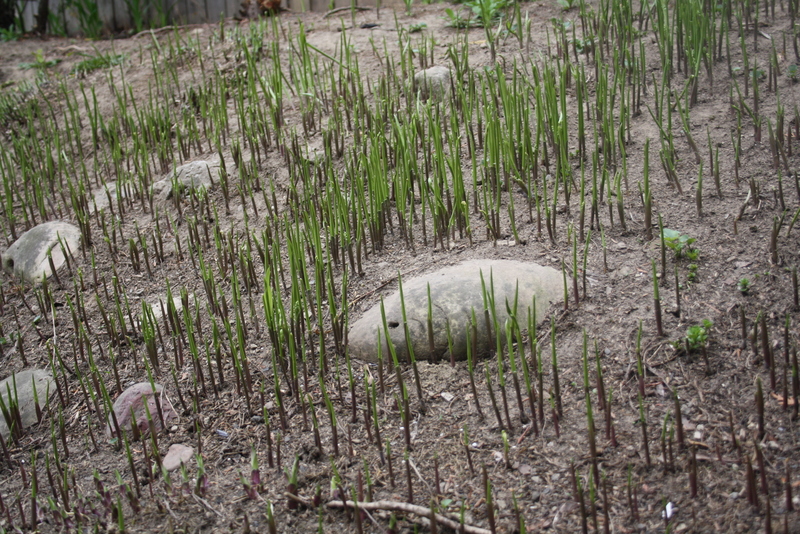 Little Hosta plants are popping their heads up all over this hill. 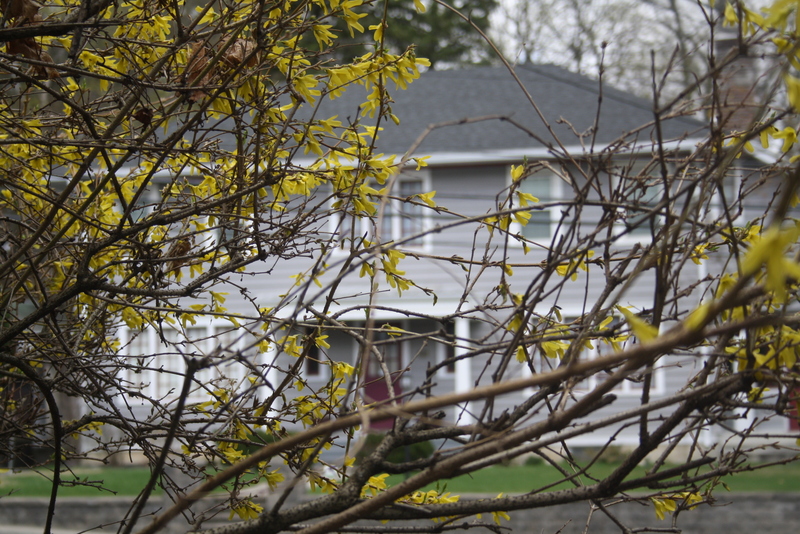 I was just remarking a week ago that there were no buds on the trees (that I could see), and now they are budding to the brim! 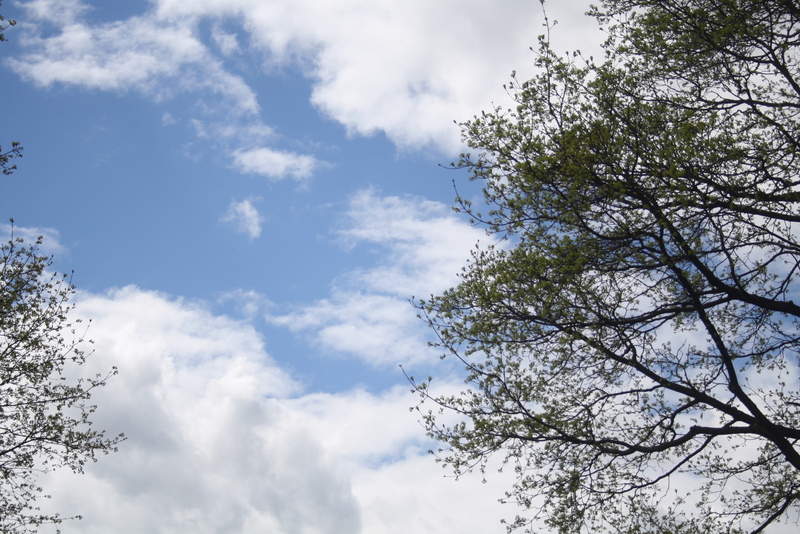 Also, that beautiful blue sky. I re-potted a bunch of our overgrown house plants this week, including an aloe plant that was so root bound I’m surprised it was still alive! 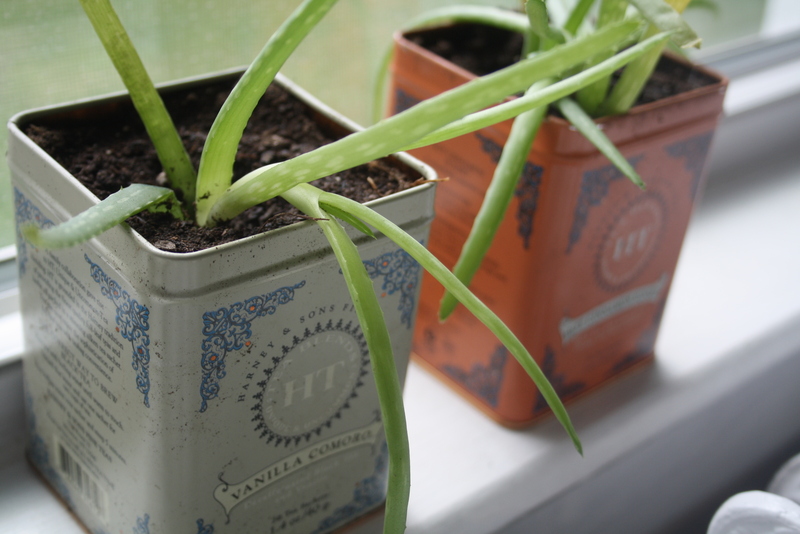 I love these little aloes in pretty old tea canisters to sit in our kitchen. You are such a talented girl… And I love how you notice and appreciate the little things that many take for granted.